This afternoon, I was driving down the road when I saw blue lights up ahead. It was not a wreck. It was not a roadblock. It was a funeral procession. Like all of the other drivers, I came to a stop as a show of respect for the deceased and their family. While sitting still, a few thoughts crossed through my mind. I wondered if stopping for a funeral procession is a southern tradition or if it happens in other parts of the country. Hopefully, some of you can answer that question. I just know that it is something people around here do automatically. In fact, I do not think highly of a person when I see them keep driving along. I also thought about the job of law enforcement during a procession. Obviously, one leads the way. However, others block intersections and make sure no one pulls out in front of the oncoming cars. Years ago, I was in a funeral procession, and we went through a four-way stop that did not have a police presence. A woman pulled out in front of us with her horn blowing. When she got in front of us, she flipped us off. Apparently, she had gotten mad at all of the people who were running the stop sign in front of her and decided to do something about it. In recent years, there has become confusion about when the procession has completely passed. In the old days, drivers turned on their headlights as a sign of being part of the group. Now, the headlights of cars are on all the time. Which headlights are part of the procession and which ones are not? Having a squad car at the back might fix this problem. 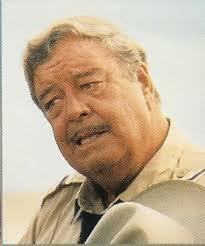 After all of that, I thought about Sheriff Buford T. Justice. In Smokey and the Bandit, Jackie Gleason is chasing Burt Reynolds and gets caught up in a funeral procession. Like all good southerners, he stops out of respect. He does not know that the funeral director has slowed down the procession to help the Bandit. Burt Reynolds made another movie that ended with a funeral procession. 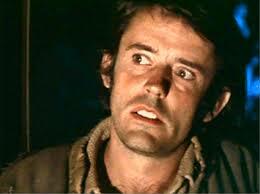 In White Lightning, he played Gator McKlusky, a convict who goes undercover to expose a crooked sheriff. Of course, Burt wins and walks off as the hearse carrying the sheriff’s body goes by. Also, “Way Down Under” is playing over the entire affair. Anyway, I go back to my original question. Do people in other parts of the country stop for funeral processions? If so, then what do you think about as you are sitting there? Then, I published a post that included a profound line from one of my favorite movies. I have done this before and have noticed that it has become a habit in my blogging/tweeting life. With that in mind, I started thinking about a post of movie quotes that could also be used as guidance in our daily lives. It seems that screenwriters can be quite clever when given time to come up with something. With those two ideas running through my mind, I came to the smash idea where I will take movie stars and list the “life guidance” quotes from their films. The quotes may be profound, funny, or just plain dumb. The common denominator is that I think they are great lines and can be useful in some way. Before the listing begins, there are a few rules. 1. I must have seen the movie. 2. Each movie must include the mentioned movie star (although they may not be the one that says the line). 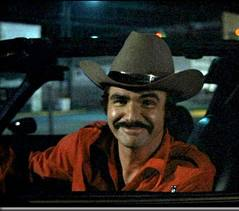 So, here goes with movie wisdom from Burt Reynolds movies.